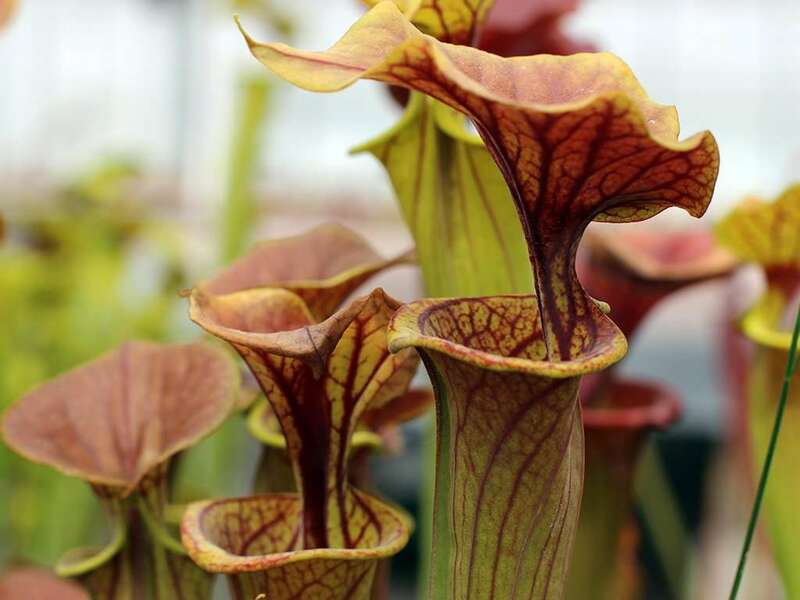 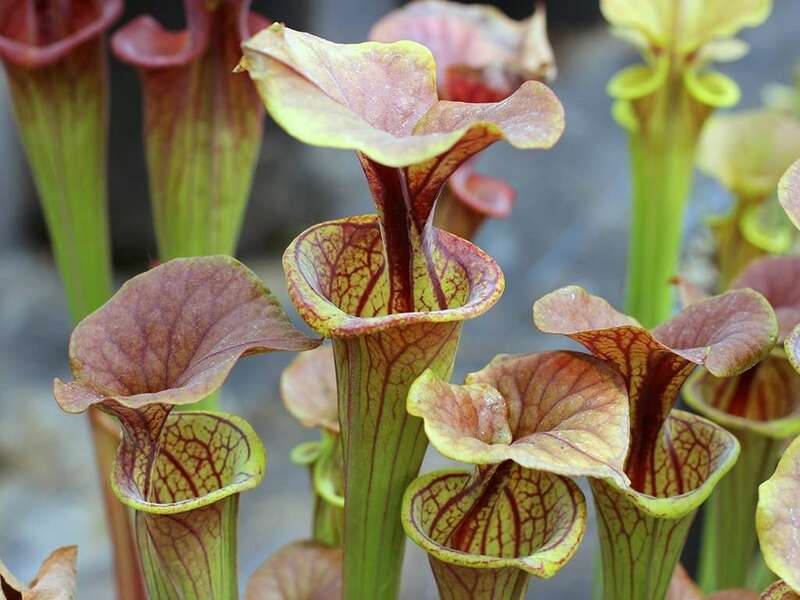 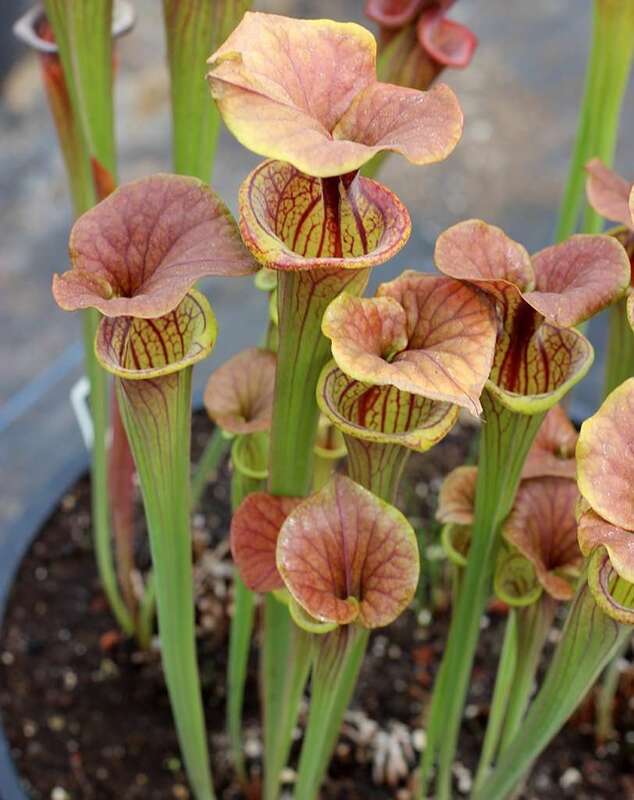 As the name would suggest, Sarracenia flava (bronze x coppertop) is a hybrid pitcher plant. 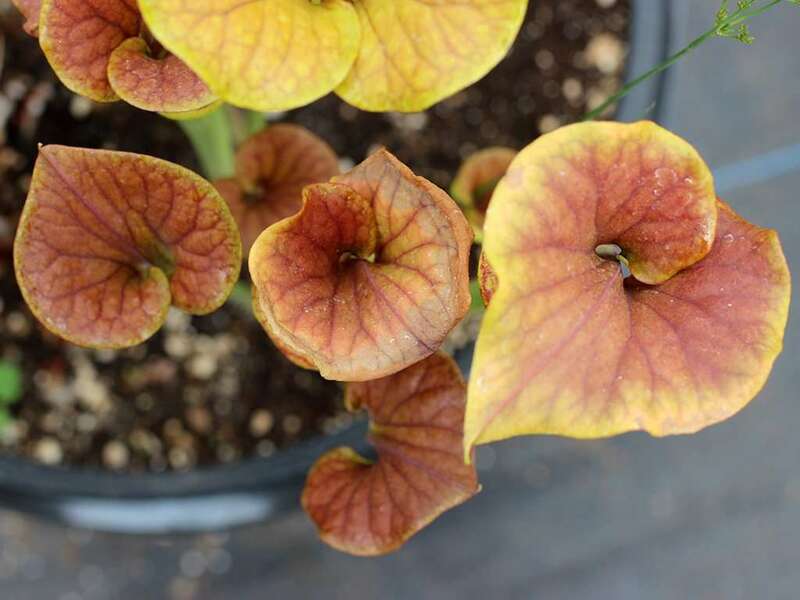 It takes two spectacular parents, S. flava bronze and S. flava coppertop, crosses them, and yields the fantasmagorical hybrid pitcher plant before you. 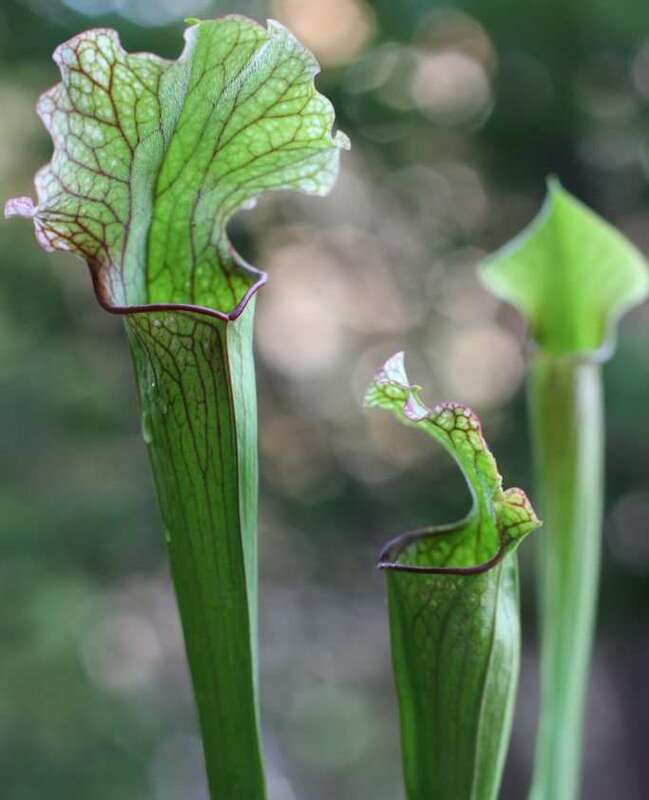 Characteristics of both parents stand out (skewing coppertop), yet the progeny is distinct enough not to be immediately confused as either parent. 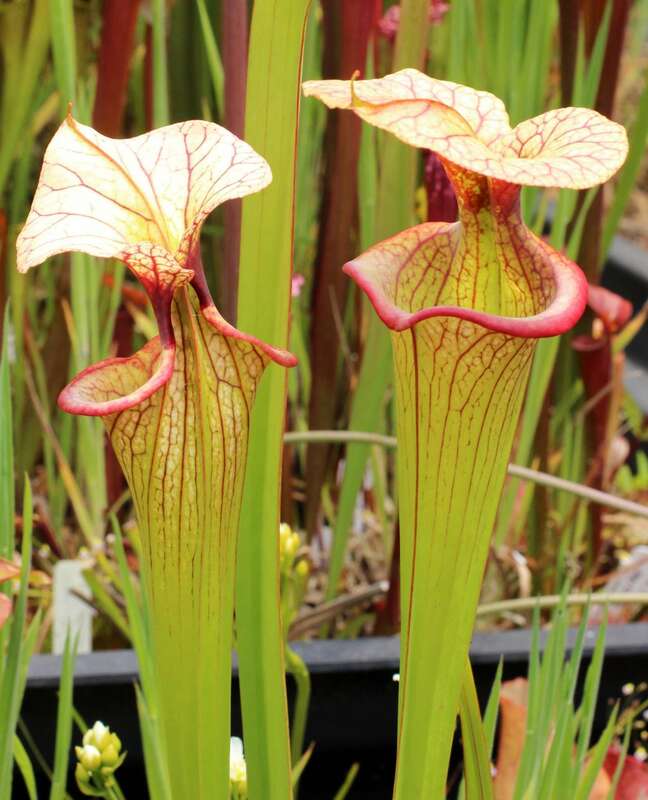 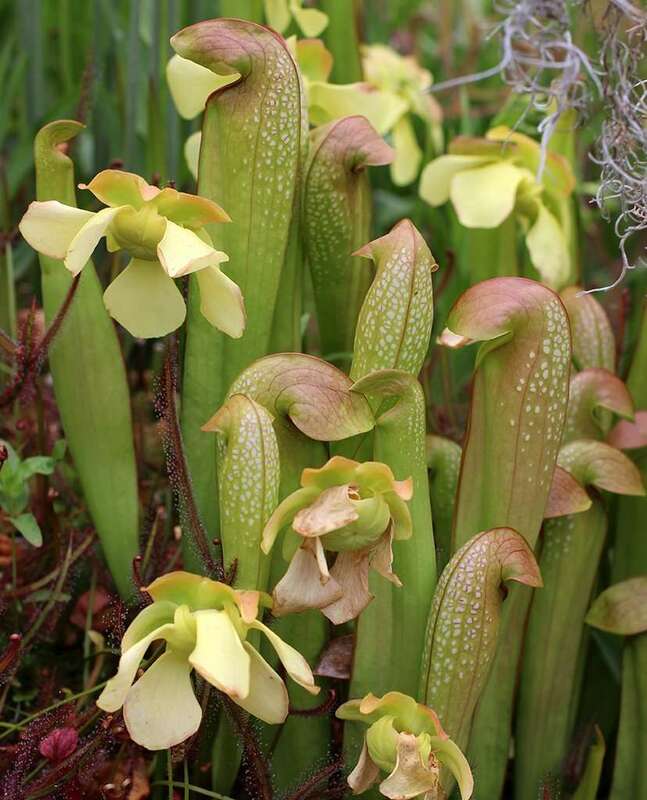 Of course, it is unmistakably Sarracenia flava. 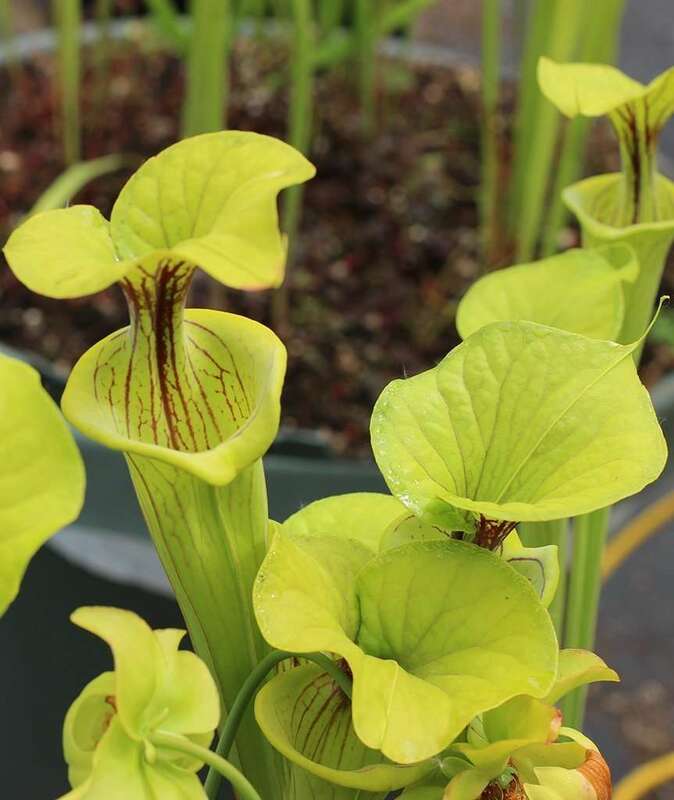 Like other flavas, this plant is early to rise out of dormancy (sometimes as early as late February), when it sends up flowering stalks. 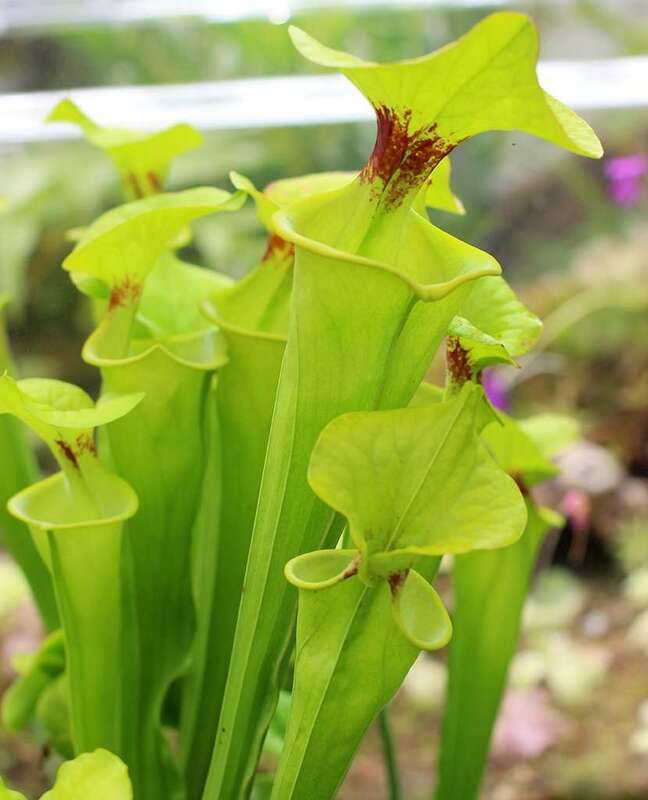 The photos included here are of greenhouse-grown plants and were taken during the first week of May, 2017. 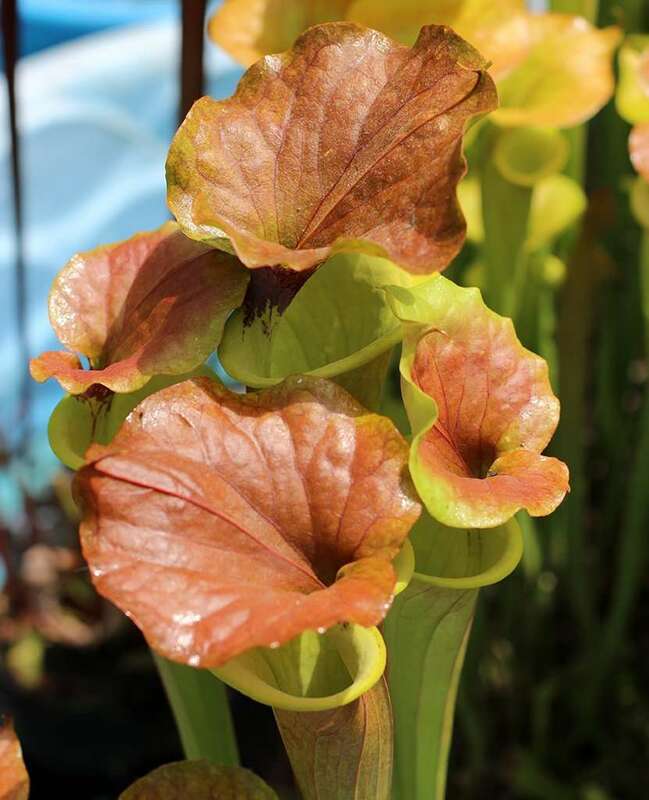 This hybrid exhibits both parents’ bronze/copper (can’t you tell the difference?!) 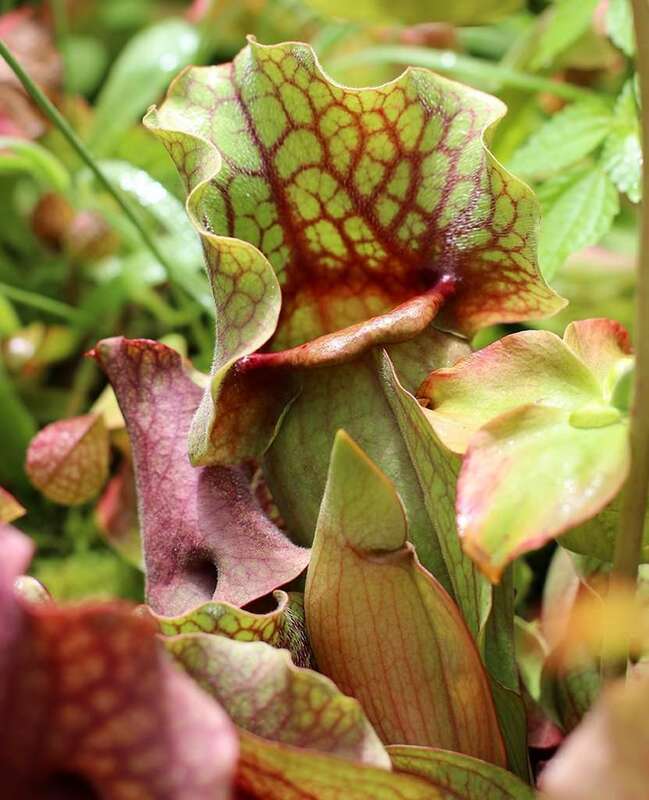 colored lid which expresses itself more in brighter light. 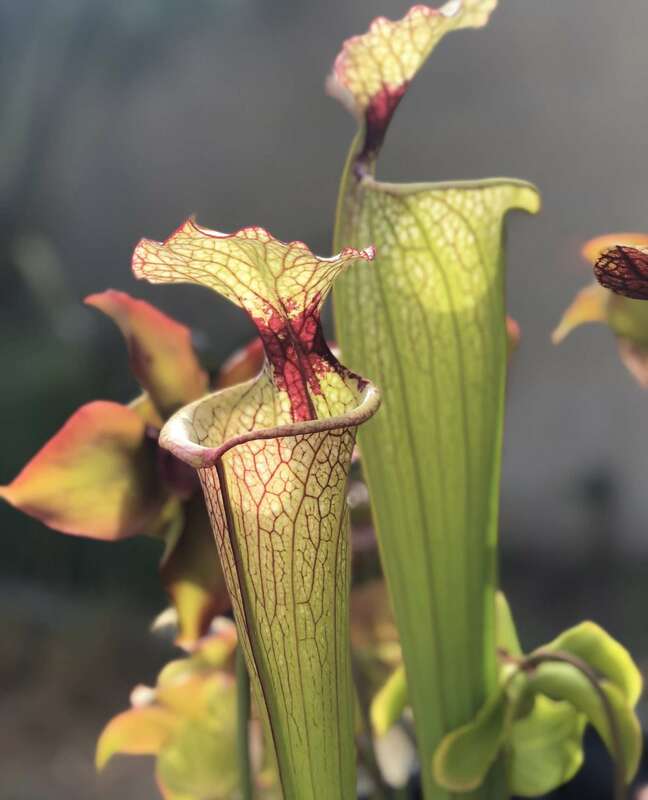 Sarracenia flava (bronze x coppertop) also has heavy venation emanating both up the lid and down the pitcher from a red throat blotch. 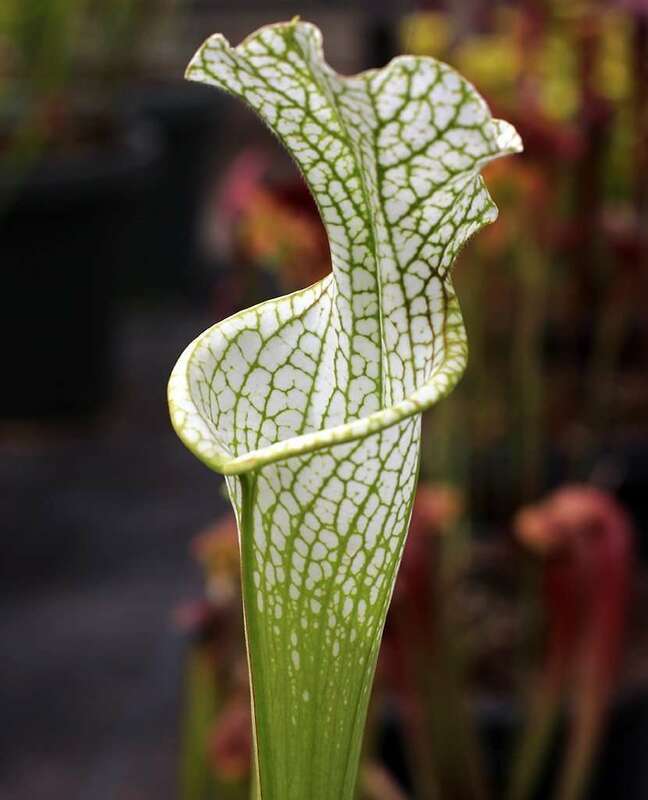 This venation fades and pitchers appear greener, the closer you get to the base of the plant. 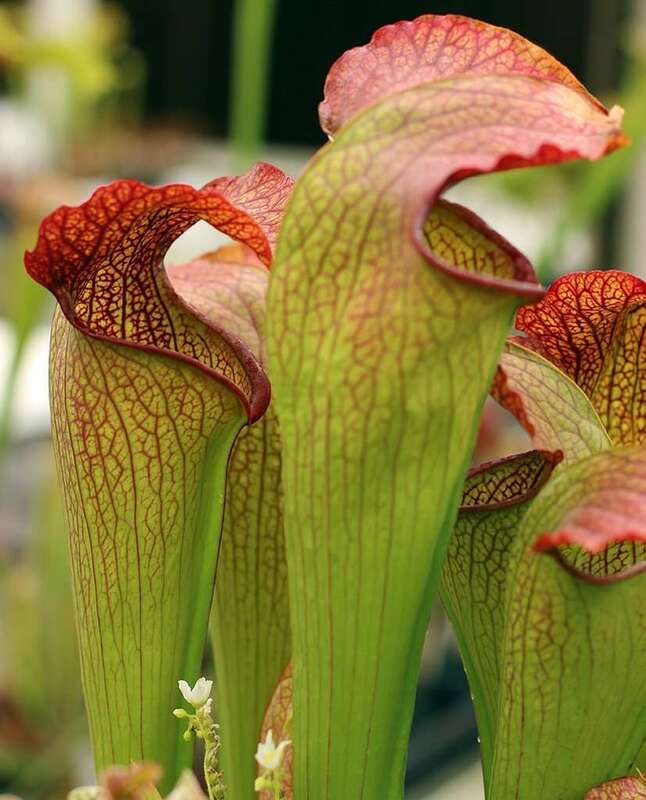 Pitcher shape and flower structure are typical flava. 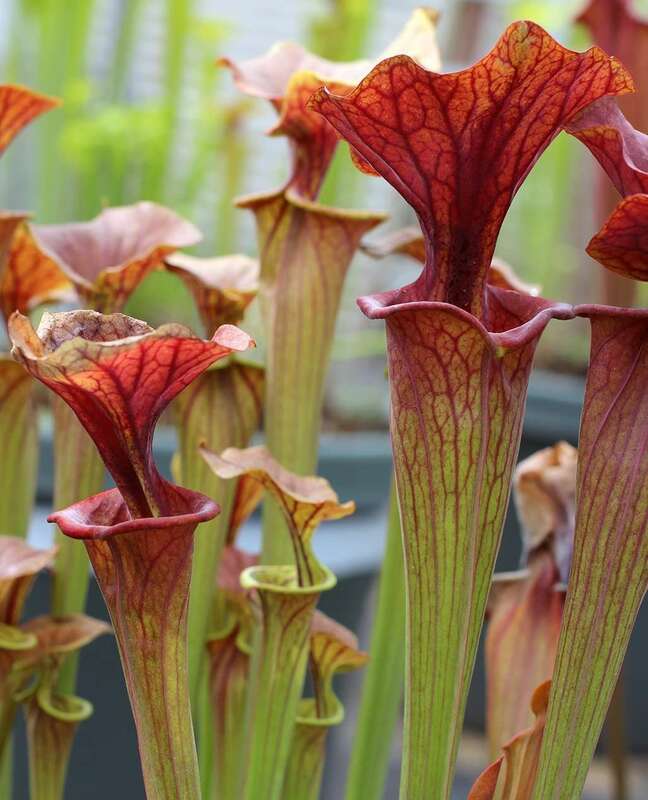 Blooming flowers retain their cat-pee-esque smell (oh, joy!). 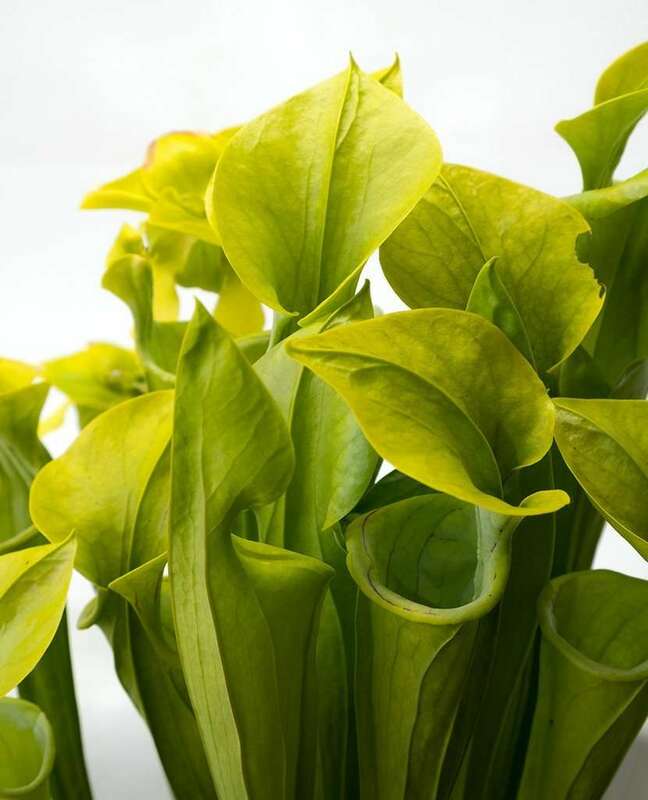 This is a handsome hybrid and will do best outside or in a greenhouse under bright conditions.